Photo of Maximilian Kolbe as a Young religious brother. If asked to reflect upon the horrors of the Holocaust, what would you think of first? Perhaps you will automatically call to mind Nazis, Hitler, or the Diary of a Young Girl. Maybe you’ll recall stories of the infamous concentration camp, Auschwitz, a waking nightmare to those forced to suffer through the daily toil, shaded by the patient wings of death. You may not think, however, of a particular member of that camp, branded with the number 16670 in place of his name. 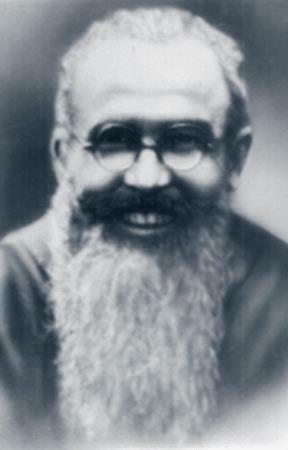 Maximilian Kolbe. Ironically, this man who suffered and died at the hands of soldiers once aspired to be part of the military himself, dreaming to save Poland from oppressors by serving as a soldier. St. Maximilian was born as Raymond Kolbe on January 8th, 1894, in Zdunska Wola, Poland. He was a particularly mischievous child until, after being reprimanded by his mother, he went to pray. He states, “I prayed very hard to Our Lady to tell me what would happen to me. She appeared, holding in her hands two crowns, one white, one red. She asked if I would like to have them—one was for purity, the other for martyrdom. I said, ‘I choose both.’ She smiled and disappeared.” He entered a junior Franciscan seminary in Lwow, where he excelled at mathematics and physics, feeding his passion for all things military. His teachers saw in him great potential in the sciences or as a strategist, based off of his intelligence and military interest. However, he abandoned his military passion for the priesthood after his parents announced that they were going into religious life since all of their children were in seminaries, and he couldn’t bear to disappoint them. 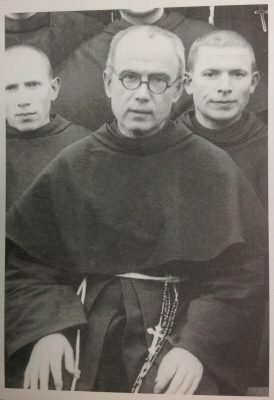 Professing his final vows in 1914, he took the name Maximilian Mary Kolbe, displaying his devotion to Mary, family, and God. 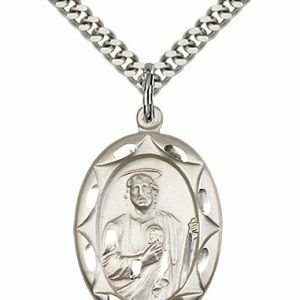 He founded and published the religious magazine Knight of the Immaculata from his “City of the Immaculata” in Niepokalanow. It seemed he had found a new way to fight, as a soldier of Christ. Maximilian later built the monastery Mugenzai no Sono, or the Garden of the Immaculate, on the slopes of Mount Kikosan in Nagasaki, Japan. The site he chose was poverty-ridden and inconvenient, far from advisable for building. However, it proved lucky when the atomic bomb struck Nagasaki in 1945. Mugenzai no Sono sustained little to no damage thanks to the mountain taking most of the force from the blast. During World War II back in Poland, Maximillian continued to shelter refugees from Poland and hide Jews from the Nazis while vilifying the Nazis in his amateur radio reports and letters. The Gestapo imprisoned him in the Pawiak prison in Warsaw on February 17th, 1941, singling him out for special abuse before transferring him to Auschwitz May 25th as prisoner #16670. Despite the terrors he was forced to endure, Maximillian radiated God’s love and generosity, opening his heart to tell the other prisoners of the endless reach of his God’s love and fighting for the souls of those imprisoned. That July, Maximillian was rushed out of his Block by the wail of the camp sirens with the inhabitants of his and two other Blocks to meet a group of Landwirtschafts-Kommando, bearing the news of three prisoner’s escape from each of the present Blocks. To dissuade any further attempts of escape, they were going to take ten of the prisoners from these Blocks down to their death in the starvation chamber. One man who was chosen cried out for his wife and children as he was taken away, and Maximilian stepped forward, volunteering to take the man’s place in starvation. 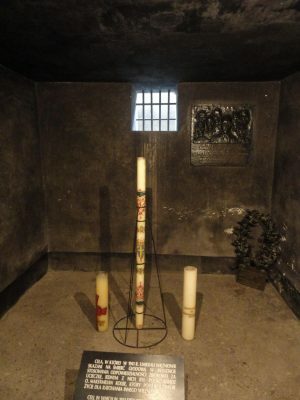 While in the Bunker, he led the prisoners in the rosary, daily prayer, and song throughout the weeks, even as the prisoners died off and the prayers were reduced to weak whispers. After three weeks, being one of only four remaining, Kolbe raised his own arm to accept a lethal injection of carbolic acid. His body was unceremoniously burned along with the other hundreds of prisoners that died in the camps daily. 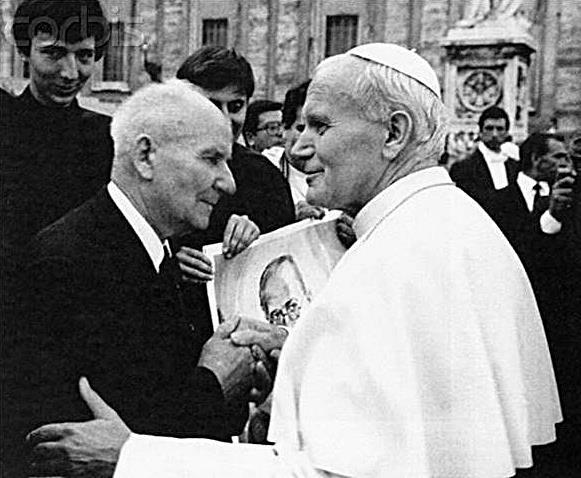 Pope John Paul II, also a citizen of Poland, canonized St. Maximillian Mary Kolbe on the 10th of October, 1982. 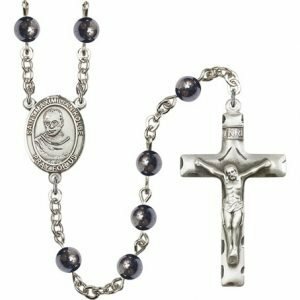 His feast day is celebrated August 14th, right before the Feast of the Assumption of Our Lady. Maximillian is the patron saint of drug addicts and prisoners. He may not have been the legendary soldier to free Poland and destroy the Nazis, but he died a true soldier in Christ. St. Maximilian Kolbe was born and given the name Raymond Kolbe on January 7, 1894. He was the second of three sons to Julius and Marianne, his parents, who worked at home as weavers. His father ran a religious bookstore at a time with Poland was occupied by Russia. The family was poor, but pious and devoted to their Catholic faith as Franciscan tertiaries. His father enlisted in the army, fighting for Polish independence from Russia. As a result of this devotion to his homeland, Julius Kolbe was hanged by the Russians for being a traitor in 1914. After her children had grown, Marianne became a Benedictine nun. St. Maximilian Kolbe’s brother, Alphonse, became a priest. 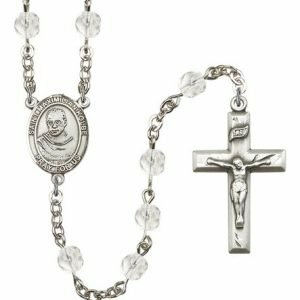 At the time of his First Communion at age 12, St. Maximilian Kolbe received a vision of the Virgin Mary. Prior to this time, he had been considered a bit wild, getting himself into mischief and causing his parents grief. In the vision, St. Maximilian Kolbe saw the Blessed Mother holding two crowns – one white, one red – and asked him to choose one. 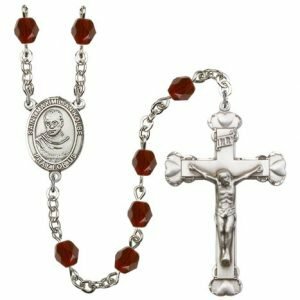 She explained that the white crown signified that he would persevere in his purity, while the red crown meant he would experience martyrdom. St. Maximilian Kolbe said that he would accept both. He later entered the Franciscan junior seminary in Lwow, Poland in 1907. He excelled in mathematics and physics. 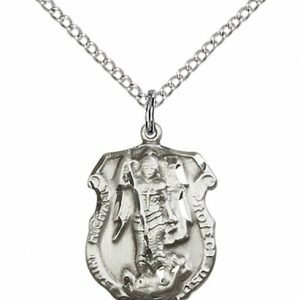 He was accepted as a novice to the order on September 4, 1910, at age 16. When he made his first vows on September 5, 1911, he took the name Maximilian. His final vows were made on All Saints Day – November 1, 1914. After making his vows, St. Maximilian Kolbe went on to study for the priesthood. On October 16, 1917, he, along with six friends, founded the Immaculata Movement (also known as the Militia Immaculata). 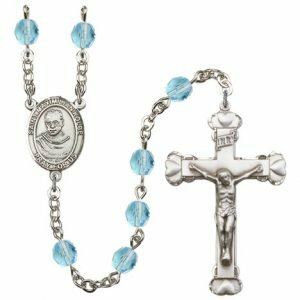 The purpose of this movement was to convert sinners, spread devotion to the Blessed Mother (particularly through the wearing of the Miraculous Medal), and lead the faithful along the path to Christ. 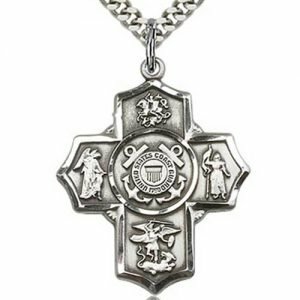 They began publishing a magazine, entitled “Knight of the Immaculate” to fight religious apathy in 1922. This magazine became very popular and led to the publication of a Catholic newspaper as well. St. Maximilian Kolbe was ordained in Rome at age 24 on April 28, 1918. He received his doctorate in theology in 1922. His writings and insight on Marian theology have echoed through the ages, and were influential during the Second Vatican Council. Due to this knowledge of the Faith, as well as his own personal drive to lead others to Christ, St. Maximilian Kolbe sought to minister to as many people as possible the world over. He started a monastery in Poland in 1927, then another in Japan in 1931. 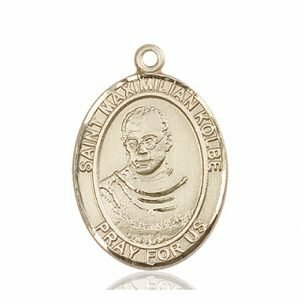 He founded an additional monastery in India in 1932; however, this closed due to a lack of vocations. 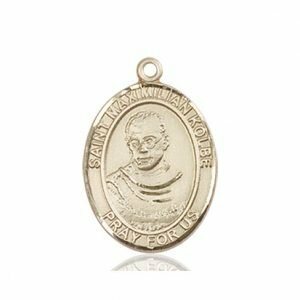 From 1918 on, St. Maximilian Kolbe was plagued by symptoms of tuberculosis, at times requiring him to retreat to a hospital where he could rest and recover. These times of illness left him weak and with frail health throughout his life. St. Maximilian Kolbe returned to Poland from his missionary work in 1936 due to his poor health. By 1938, the monastery had their own radio station up and running. There were nearly 800 men living there, completely self-contained, with even their own fire brigade and medical center. St. Maximilian Kolbe was arrested on September 19, 1939, along with several of the brothers, as a result of the Nazi occupation of Poland. They were released on December 8, 1939, and went back to their ministry. The brothers housed 3,000 Polish refugees. Over two-thirds of these were Jewish. During these difficult times, St. Maximilian Kolbe and his brothers continued to publish their newsletters for the faithful. These were considered to be anti-Nazi publications by the Germans. 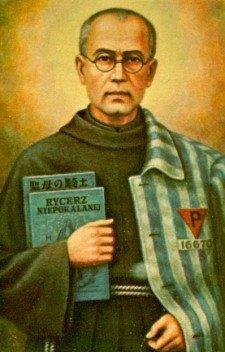 As a result, the presses were shut down, the brothers dispersed, and St. Maximilian Kolbe was arrested again. This time he was placed in Pawiak prison, in Warsaw, Poland, on February 17, 1941. On May 28, 1941, St. Maximilian Kolbe was brought to Auschwitz concentration camp. He was put into a group of other priests, all of whom were forced to work under vicious and hateful guards who treated them horribly. The peaceful nature of St. Maximilian Kolbe bothered the Nazi guards who would rather have seen him expressing his anguish and pain. In an effort to “break him” the Nazis gave him the worst jobs and beat him more often than others. In one instance, the guards beat him so badly he was left lying, wounded gravely and nearly dead. However, because his gentleness and virtue was admired by other prisoners, he was rescued and taken in secret to the hospital facility where he was nursed back to health. St. Maximilian Kolbe spent his recovery time hearing confessions. 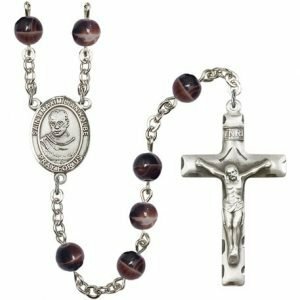 When his health permitted, he returned to the camp, where he routinely offered Mass using bread and wine that had been smuggled in. In July 1941, a prisoner escaped from the camp. In an effort to discourage this, the Nazi guards would put ten men to death for every one that escaped. The Nazis chose the ten who would die on account of this particular escaped prisoner. Among them was a young man who was a husband and father to young children. St. Maximilian Kolbe offered to die in his place, so that the man may live. The Nazis agreed to this trade. St. Maximilian Kolbe and the others chosen to die were denied food and water. They sang hymns and praised God throughout this time, as slowly each passed away. After three weeks, St. Maximilian Kolbe was the only one still living. He was executed on August 14, 1941 by lethal injection. His body was burned in the ovens and the ashes were scattered on August 15, the Feast of the Assumption of Mary. 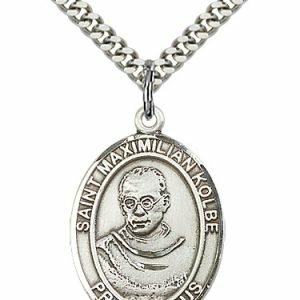 St. Maximilian Kolbe was declared a saint on October 10, 1982 by Pope John Paul II. His feast day is August 14. St. Maximilian Kolbe is the patron saint of those who struggle with drug addiction, families, prisoners (particularly political prisoners), and the pro-life movement. He was chosen as the patron of those who struggle with drug addiction because of his method of execution, which was lethal injection. Because a needle took his life, he has been named the patron of those who fight life-threatening addictions (some of which may require use of a needle). His strength and selflessness can be a source of inspiration and motivation for those trying to recover and live healthy lives. 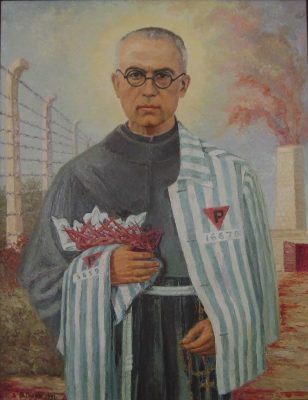 In artwork, St. Maximilian Kolbe is usually depicted as a Franciscan, wearing the habit of the Order. He wears glasses. Sometimes he will be shown with the blue and white striped clothes he wore as a prisoner in Auschwitz, which may feature the number “16670” on them, as well as a red triangle with the letter “P”. This is the number St. Maximilian Kolbe was branded with when he was imprisoned, and the “P” means that he was Polish. He may also be holding blue books, one with writing on the cover in Polish, the other in Japanese. 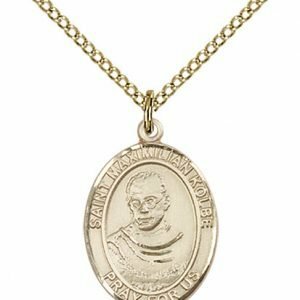 These reference the monasteries he opened in these countries. He might also be seen with are barbed wire (from his imprisonment at Auschwitz). Some very common symbols for him to be depicted along with are a rosary and two crowns, and perhaps an image of the Blessed Mother. The two crowns refer to the vision St. Maximilian Kolbe had, which led to his conversion in his early teenage years. O Immaculata, Queen of Heaven and earth, refuge of sinners and our most loving Mother, God has willed to entrust the entire order of mercy to you. I, (name), a repentant sinner, cast myself at your feet humbly imploring you to take me with all that I am and have, wholly to yourself as your possession and property. Please make of me, of all my powers of soul and body, of my whole life, death and eternity, whatever most pleases you. If it pleases you, use all that I am and have without reserve, wholly to accomplish what was said of you: “She will crush your head,” and, “You alone have destroyed all heresies in the world.” Let me be a fit instrument in your immaculate and merciful hands for introducing and increasing your glory to the maximum in all the many strayed and indifferent souls, and thus help extend as far as possible the blessed kingdom of the most Sacred Heart of Jesus. For wherever you enter, you obtain the grace of conversion and growth in holiness, since it is through your hands that all graces come to us from the most Sacred Heart of Jesus. 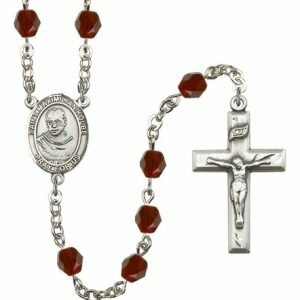 Mary, Mother of the Church, I come before you in the spirit of St. Maximilian Kolbe, who consecrated his Franciscan life and work to you without reserve. You accepted Maximilian’s self-offering; accept me. You led Maximilian to Christ; lead me. You formed Maximilian into a mirror of Christ; form me. Your union with Maximilian provided the backdrop for his works of evangelization and heroic acts of charity. 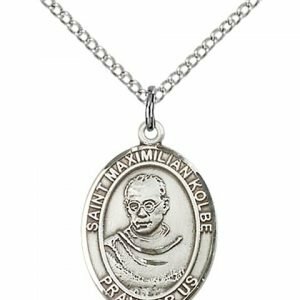 Please grant, through the intercession of St. Maximilian, that I might fully collaborate with you and the Holy Spirit as an instrument for the upbuilding of Christ’s Church. Amen. Help me to become more like yourself. With you and Mary and the Church, may I proclaim that only “Love alone creates.” To the hungry and oppressed, the naked and homeless, the scorned and hated, the lonely and despairing, may I proclaim the power of Christ’s love, which endures forever and ever. Amen.